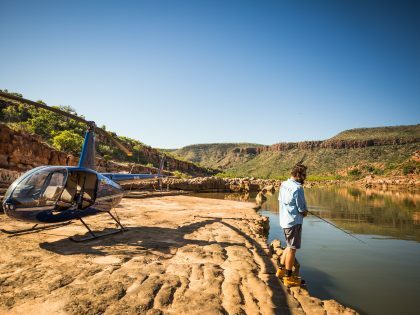 Land on a mountain pinnacle to enjoy spectacular views over a glass of wine, enjoy helifishing in a wild river or soar through gorges and touch down for a swim under a secret waterfall. 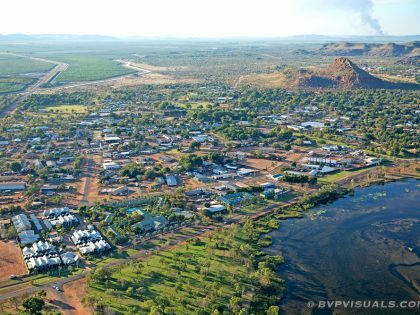 Kununurra is situated along the huge Ord River with mountains surrounding the fertile Ord River Valley. 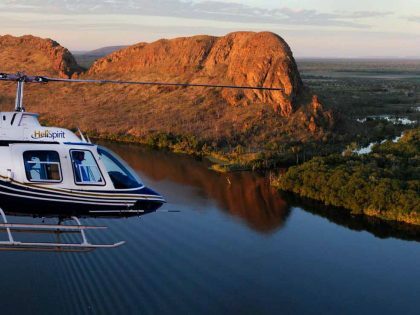 HeliSpirit has a number of Kununurra scenic flights on offer; from waterfall flights after the rains, to helifishing in wild rivers, to romantic sunset helipicnics looking out over the Ord Valley with your favourite cold drink. 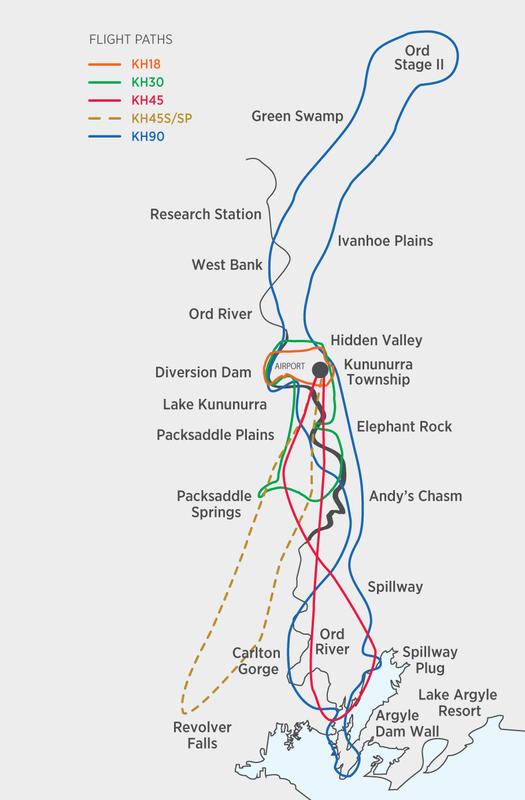 There is also a farmer’s special flight to show you the vast expanse of the Ord Irrigation scheme and an Epic Bungle Bungle adventure which is a half day air safari with 2 landings and a picnic stop along the way. 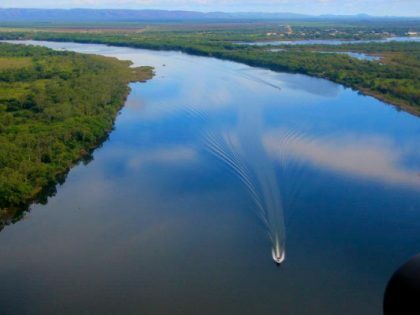 Kununurra is considered an angler’s paradise in the Australian outback. Helispirit’s helifishing adventures will ensure you have a day to remember forever. 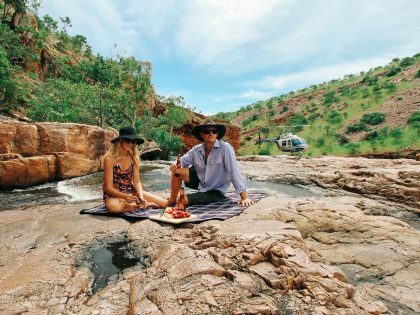 Your experienced fishing guide will show you remote inaccessible waterholes full of Barramundi and other sportsfish. Lunch and fishing gear is provided. 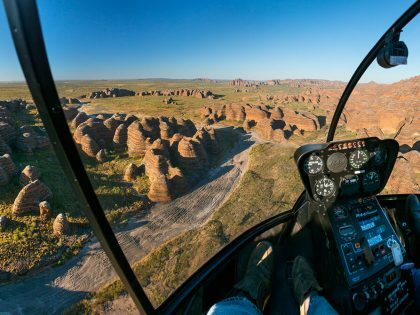 Our skilled pilots offer personal attention and in-flight commentary. 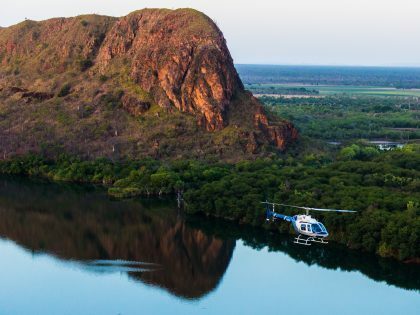 Get in touch with us to plan your Kununurra Scenic Flight today.